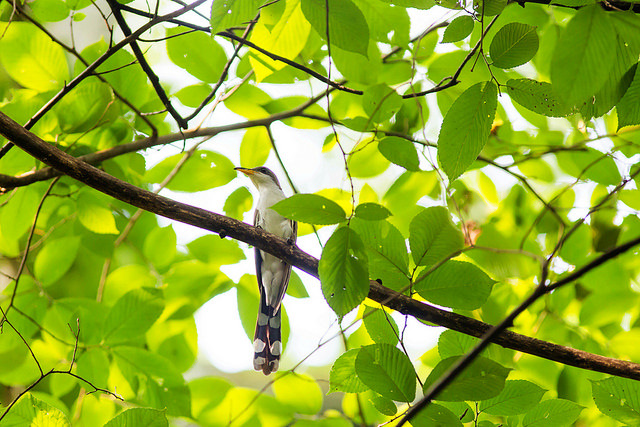 The Yellow-billed Cuckoo is a North American bird, that hibernates in South America. In Europe it is extremely rare. It is a brown-gray cuckoo with indeed a yellow bill. 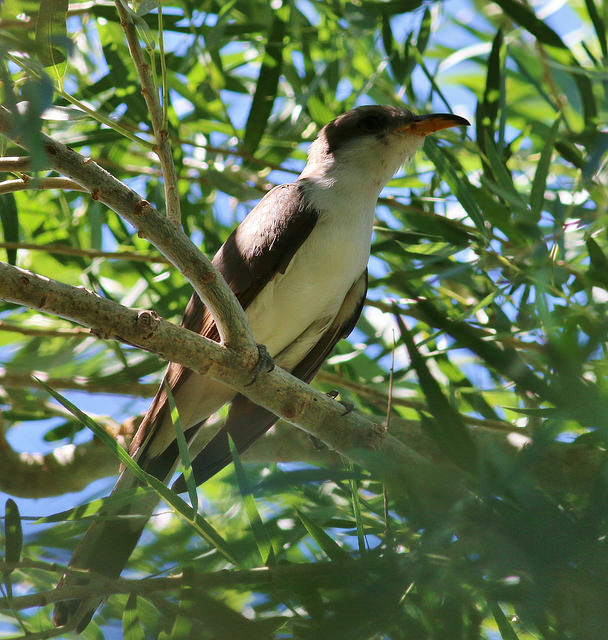 The Yellow-billed Cuckoo has a distinctive yellow beak.